“Science needs general general practitioners and vice versa” is the theme of the 52nd Congress for General Practitioners and Family Medicine in Innsbruck, Austria. The main topics of the congress include innovative teaching concepts, practical quality research and integrated care models. 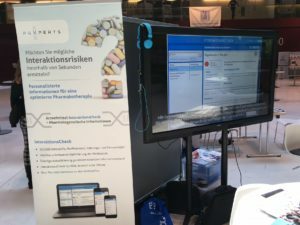 HMG presented PGX InteraktionsCheck at the congress.